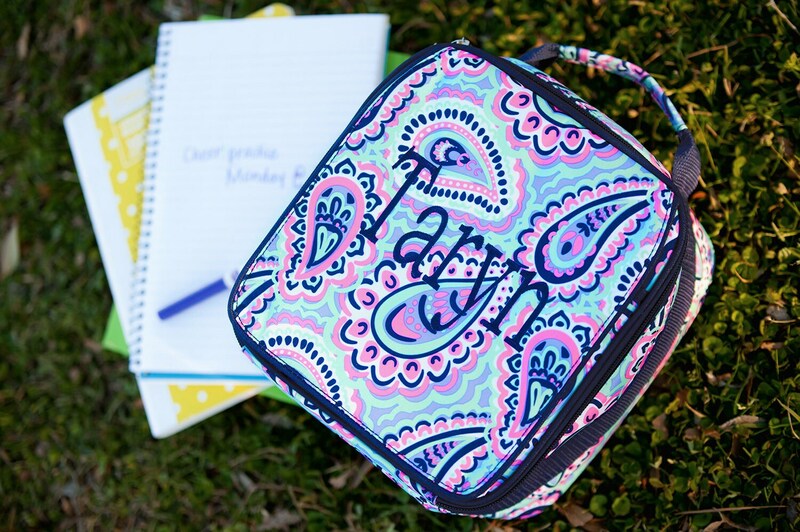 Keep lunch and snacks fresh while they're on the go! 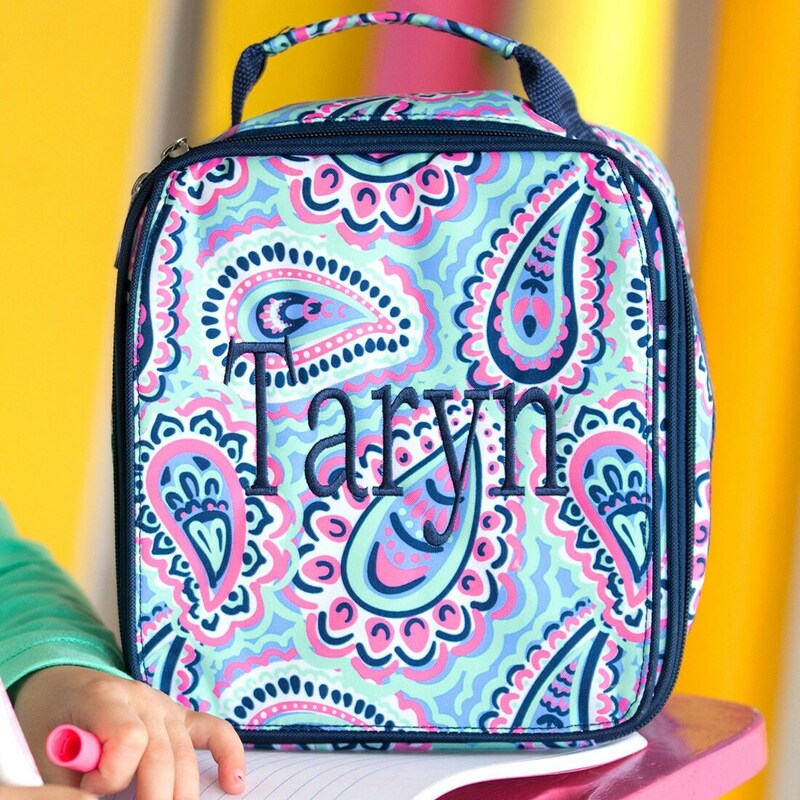 This lunch box features a sturdy zipper closure, easy-to-clean insulated lining, and an exterior pocket perfect for utensils and fun snacks. 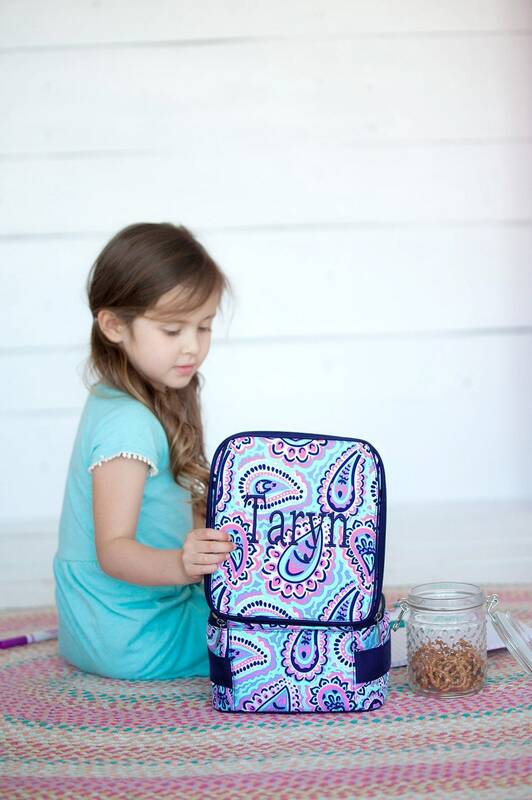 The included embroidery personalization makes this lunch box even more special! 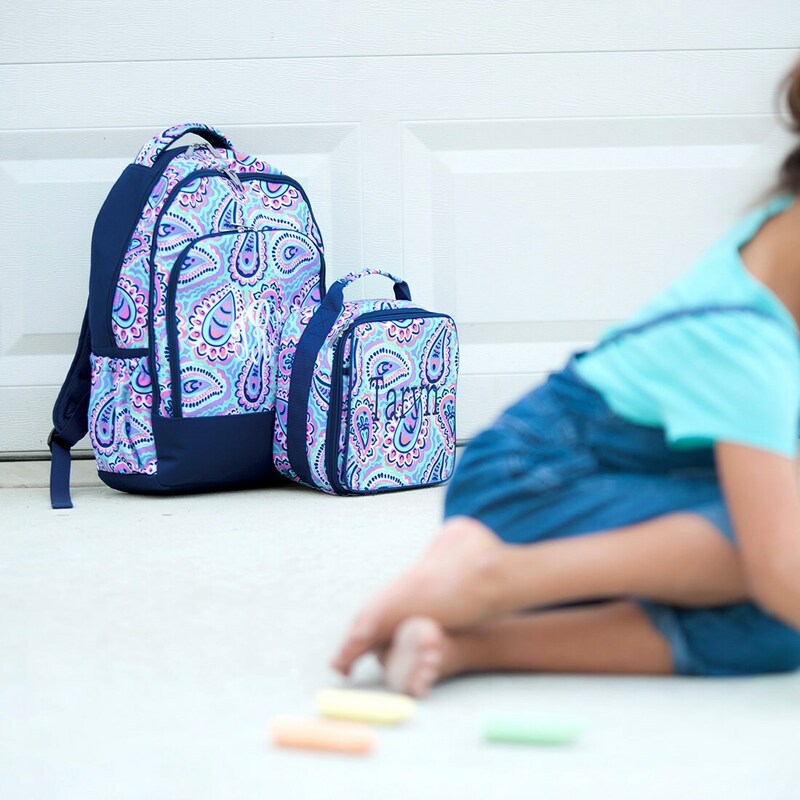 Matching backpack also available. 1. 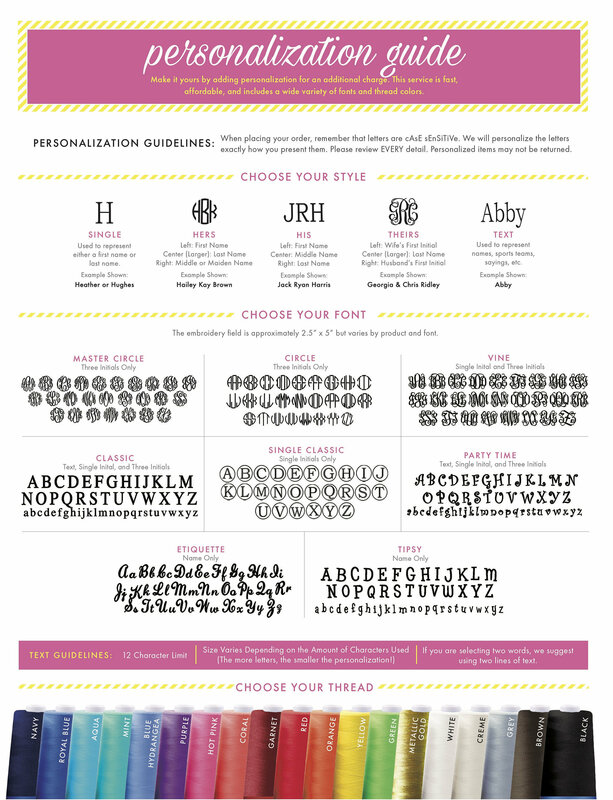 Use the pull down menu to select your desired font and embroidery thread color.